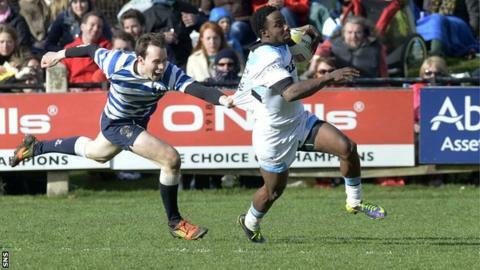 Glasgow Warriors won the Melrose Sevens after beating Edinburgh Accies 47-14 in the final at the Greenyards. The two finalists were the most prolific try scorers in the annual tournament, in which 24 teams took part. After getting a bye in the first round, Warriors overcame Currie, Ayr and Heriot's FP to reach the final. Accies had beaten Kelso, Watsonians, Clermont Auvergne and hosts Melrose earlier in the tournament.